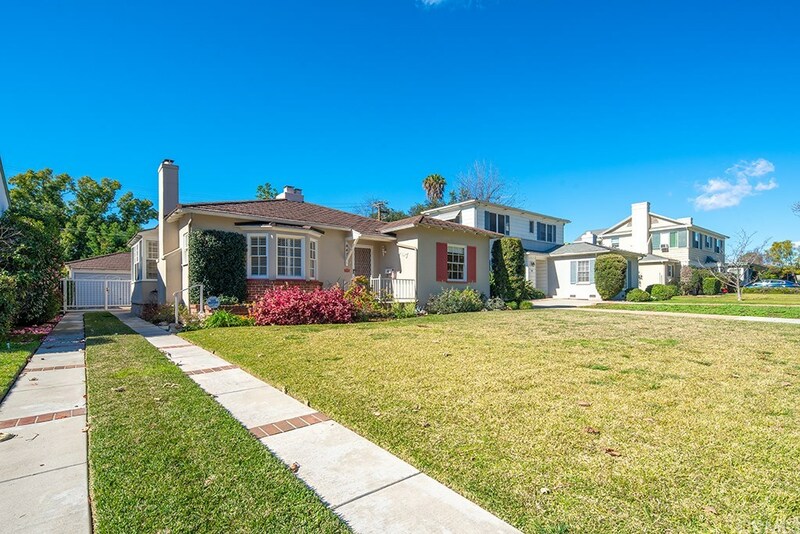 Gorgeous Single Family House situated in the North Alhambra neighborhood of million dollar homes. It is across street of “Father of the Bride” house with the appearance of many different movie scenes and surrounding by City of San Marino and South Pasadena. This spacious home with plenty of natural light offers 3 bedrooms, 2 bathrooms, living area 1,868 sf, lot size 7,699 sf, and 200 sf storage behind 2 car detached garage, living room with fireplace, family room can also be used as entertainment area or formal dining area with bar area, breakfast nook, kitchen, inside laundry room, and oversize backyard with secure driveway gate to provide plenty of privacy. Master bedroom and a bathroom can be used as a master suite. Second walk through bedroom can be used as a nursery room or kids room. Last but not least, third bedroom can be used as an office for small family or kid room for mid-size family. Walking distance to grocery market Ranch 99, Sprouts, Edward Theatre, Main Street restaurants and shops, and many others.